This 2019 calendar shows Ireland in a radical new light. The artist didn’t just paint the town red he painted the whole country red. These images cover a journey from the Wild Atlantic Way to Ireland’s Ancient East and are illustrated with sophistication and elegance. Available from here for €20 including FREE SHIPPING. As a little teaser Rod Coyne has put together a short 2019 calendar video…enjoy. “I had a fantastic few days painting in the Tourin Estate, it’s a compelling blend of history and nature and an artist’s delight. This River Blackwater painting was just one of four paintings exhibited October 2016. You can read the full story here. The river which runs down to the sea at Dungarvin is a painters paradise. Anchor your Composition – Reap the Rewards. Anchor your composition and you will always be rewarded. Using a view finder and taking time to plan what you want to paint and you’ll be starting on a solid composition foundation. Rod Coyne shares his painting plan. The full one hour video is now available on DVD and Digital Download here. 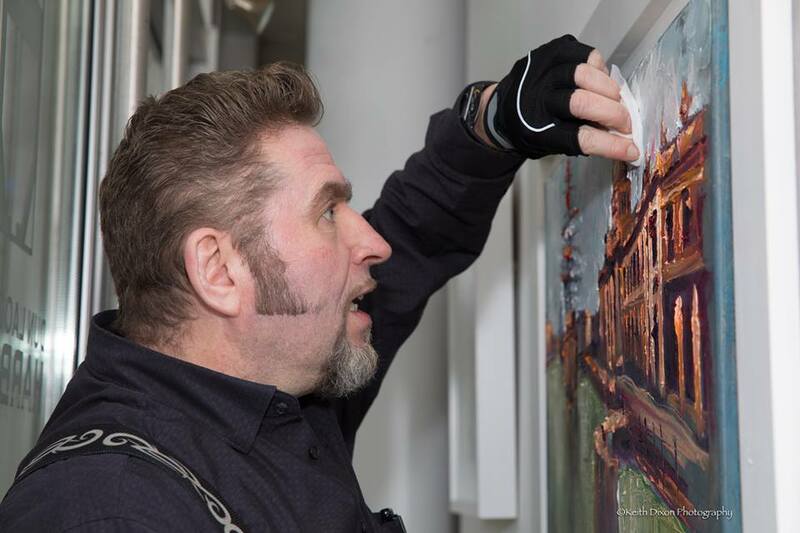 With over 25 years experience, Rod Coyne is considered one of the most exciting landscape painters in Ireland today. This DVD and download is about spontaneity, visual composition, and trusting your impulse. If you want to loosen up your landscape painting style or sit back and Rod do the work – this master-class is for you. With his affable approach, this artist will inspire painters and Ireland fans alike. 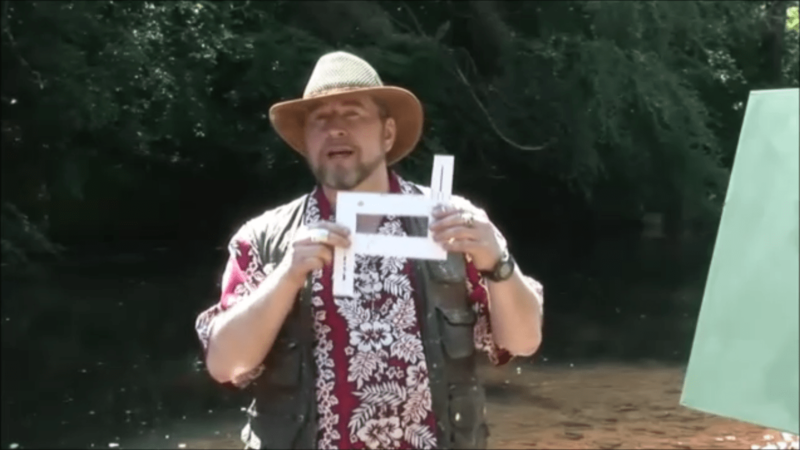 Rod explaining the view finder during the “Secrets of the Palette Knife” DVD. There’s more to “Secrets of the Palette Knife” than just painting. Spend a day with artist Rod Coyne in the spectacular surroundings of the “Garden of Ireland”. He invites you to his plein air studio on a hidden shore of the Avoca River. In this 60 minute film the artist shares a both hypnotising and meditative insight into the process of creating a picture from beginning to end. Coyne’s expert guidance into palette painting will whisk you along just as the River flows through the Vale of Avoca. The full one hour video is now available on DVD and Digital Download here. Rod Coyne shares what he’s packing for plein air painting these days. The full one hour video is now available on DVD and Digital Download here. 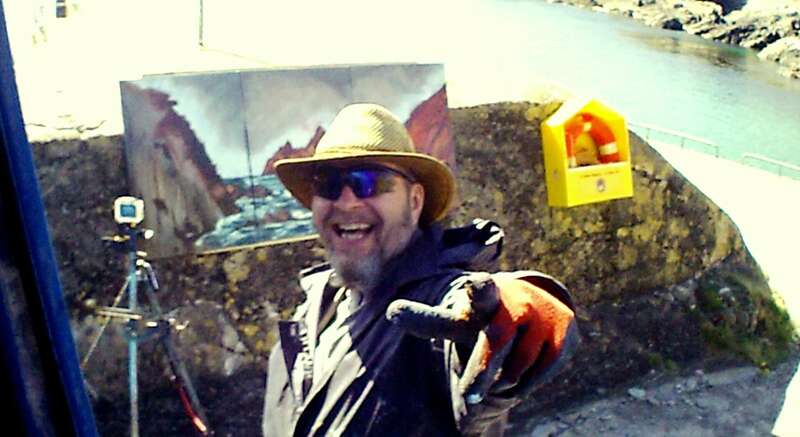 With over 20 years experience, Rod Coyne is one of the most exciting landscape painters in Ireland today. This DVD is about spontaneity, visual composition, and trusting your inner impulse. Whether you want to loosen up your landscape painting style or sit back and rod do the work – this master-class is for you. With his affable approach, this artist will inspire painters and Ireland fans alike. There’s more to “Secrets of the Palette Knife” than just painting. Spend a day with artist Rod Coyne in the spectacular surroundings of the “Garden of Ireland”. He invites you to his plein air studio on a hidden shore of the Avoca River. In this 60 minute film Coyne shares a both hypnotising and meditative insight into the process of creating a picture from beginning to end. The artist’s expert guidance into palette painting will whisk you along just as the River flows through the Vale of Avoca. But this day’s painting was different as I knew exactly what composition I wanted and which canvas I was going to use. The Skelligs features at least once on a residency at Cill Rialaig and this time I had left it till my last day at the Retreat. I actually love the fact that the Star Wars franchise has been celebrating the majesty of these holy islands and now here I was with ten days painting under my belt and ready to pay homage to the island cathedral. The time-lapse camera watches every brush stoke patiently. Big canvases are susceptible to any sort of wind so I prefer to secure them to something sturdier that my flimsy easel. While the pier wall offered the perfect position for the perfect view I still needed to get creative in how to lash it to the stonework. Years of working on movie sets in an earlier life has given me a kind of can-do attitude towards this type of problem. Some heavy duty screws and a couple of bungy cords later and it was attached rock solid. “Red Rock” work in progress on Glen Pier. Then to the cameras; I used three on that day. One time-lapse camera with no view finder which has to aimed purely on intuition. 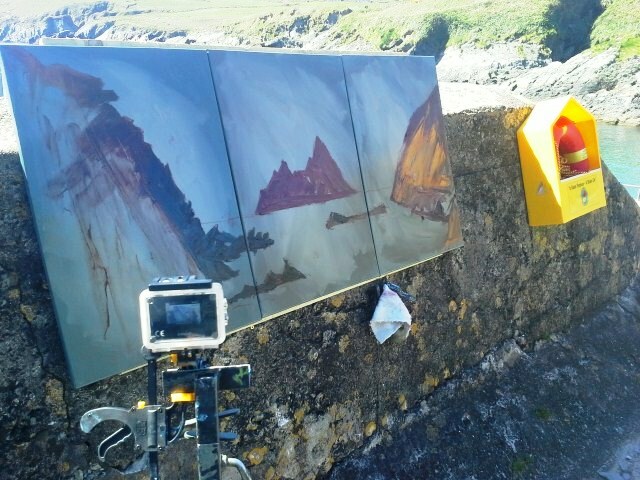 Secondly, I had a temperamental go-pro up close to the canvas. And finally I filmed all the B-roll stuff using my smart phone. As usual while painting and filming somethings didn’t work out as planned and other things occurred which I had never expected. The upshot in both cases was that the happy accidents far outweighed the disastrous ones and I was very pleased with the results. The painting gave me a sense of instant gratification on the day but it was ten months before I got a chance to work with the footage. Editing the video over the period of a few nights transported me back to painting on that breezy, sunny day on Glen Pier in Co. Kerry. And now it’s done I’m delighted I took the time to allow for the second priority of the day. I hope you like it too, if so, please share.” – Rod Coyne. Featured in Rod’s upcoming exhibition “Red Rock” 2017, triptych 50x70cm x3, oil on canvas. Happy with his day’s work Rod’s allows himself a little victory wave in front of the just finished Red Rock. Read more about the “Seeing Red” exhibition. See more of Rod’s videos on YouTube. Seeing Red Launch at Origin Gallery, Dublin. RTE presenter and journalist Richard Curran took the helm at the Seeing Red launch. He was introduced by Gallerist and Cill Rialaig Retreat founder Dr. Noelle Campbell-Sharpe. Later in this video Rod Coyne tells about his thought process while making the new work. During 2017 and moving in to 2018 Rod has replaced all the greens of the landscape with a vivid palette of reds. The results are equally exciting and other worldly. Seeing Red Launch in photos. Of course red balloons were the order of the day for the street advertisement. 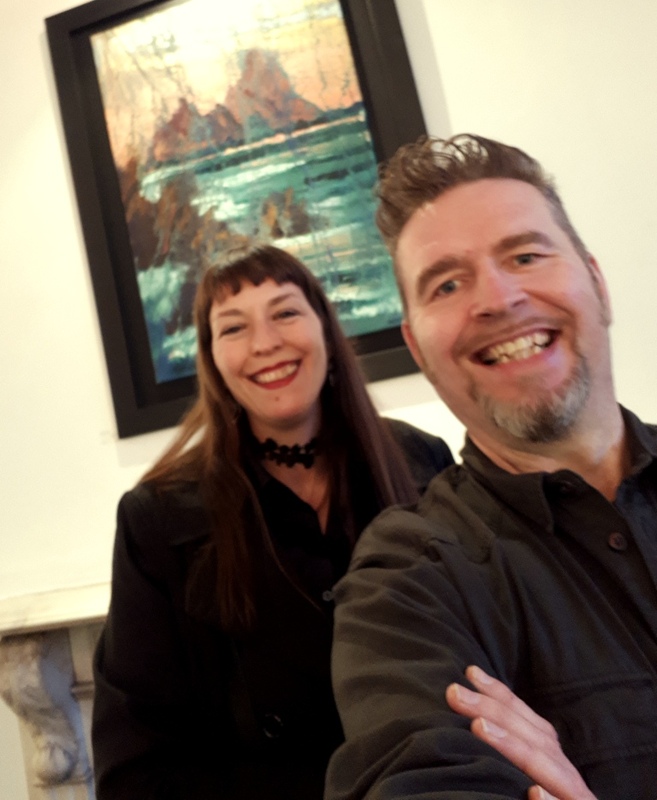 Rod amuses his muse Anja Coyne at the Seeing Red launch with “Skellig Blush” 70x100cm oil on canvas in the background. Paintings drawn from Co. Kerry and the Dublin Docks: “Blushing Coast” 30x30cm x3 panels and “Red Hull” 40x50cm both oil on canvas. Rod explains the intricacies of Seeing Red in detail. Exhibition launch at the Origin Gallery, Dublin. The artist’s experimentation with framing as well as his painting palette paid off and the black mounts drew universal acclaim. These two canvases are “Crimson Lady’s Ruff” 20x60cm and “Tierra del Fuego” 30x40cm. 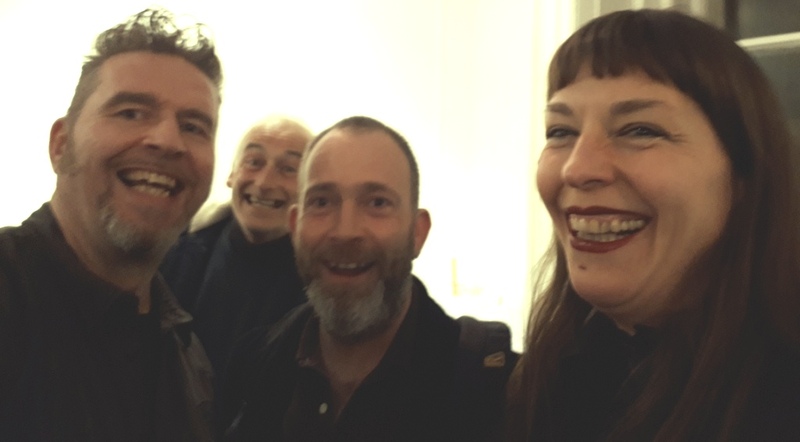 Rod Coyne and Proinsias O’Rathaille enjoying a laugh the exhibition launch at the Origin Gallery, Dublin. See a cool video of how Rod created “Red Rock”. 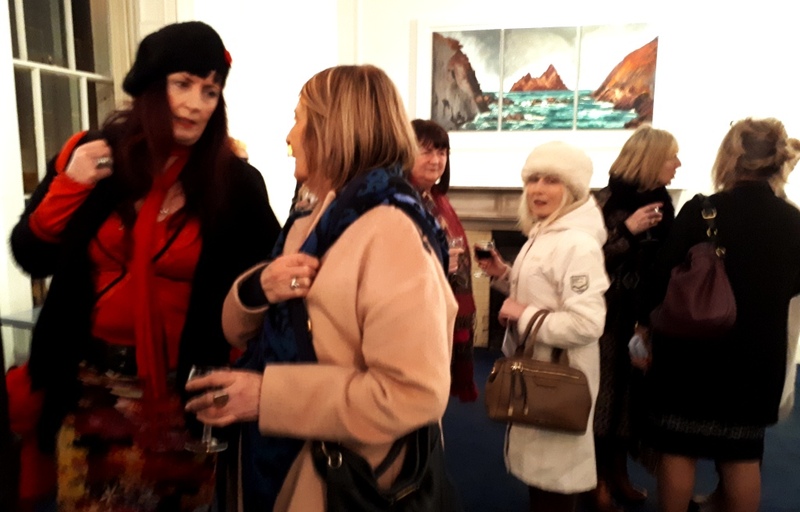 Rod Coyne’s new palette caused a stir among his regular collectors during the exhibition launch at the Origin Gallery, Dublin. “Below the Hook” was the first to sell on the opening night. The painting is oil on canvas and 20x25cm. 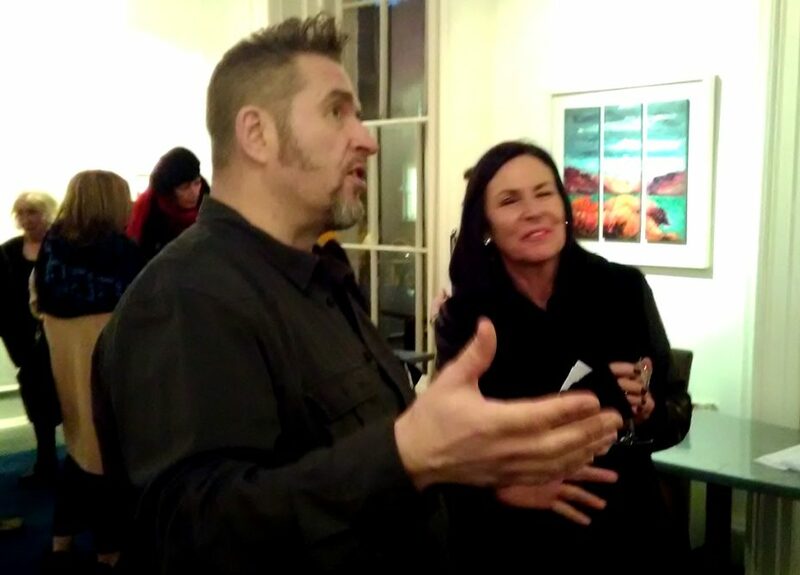 Rod explains his method for Seeing Red to a guest at his exhibition launch at the Origin Gallery, Dublin. Two canvases in slick white frames “Hooked on Red” 40x50cm and “Hog’s Head Blaze” 30x40cm both are oil on canvas. 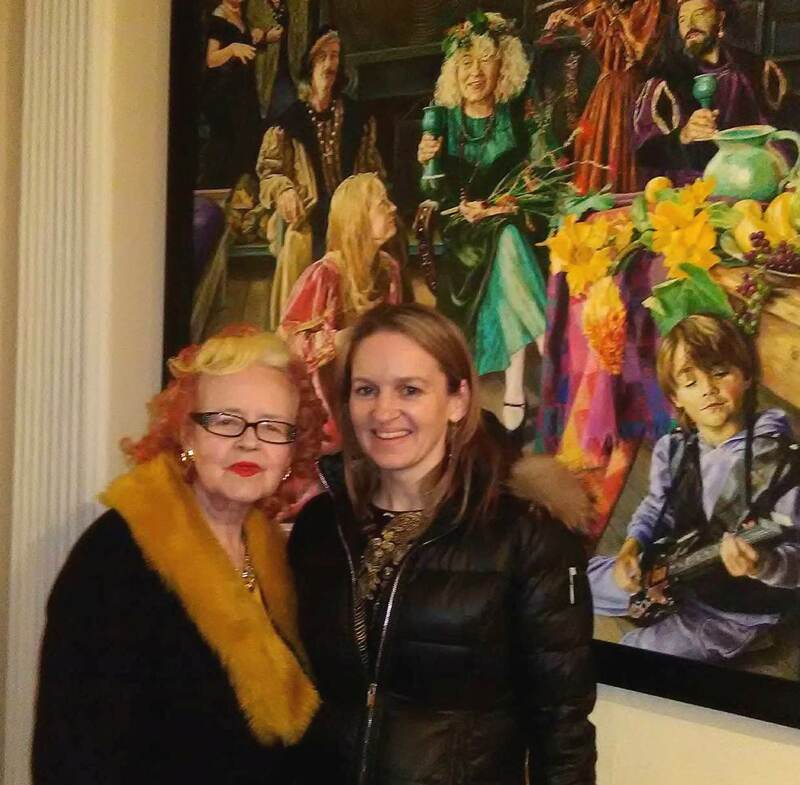 Gallerist and curator Dr. Noelle Campbell-Sharpe with an interested collector. 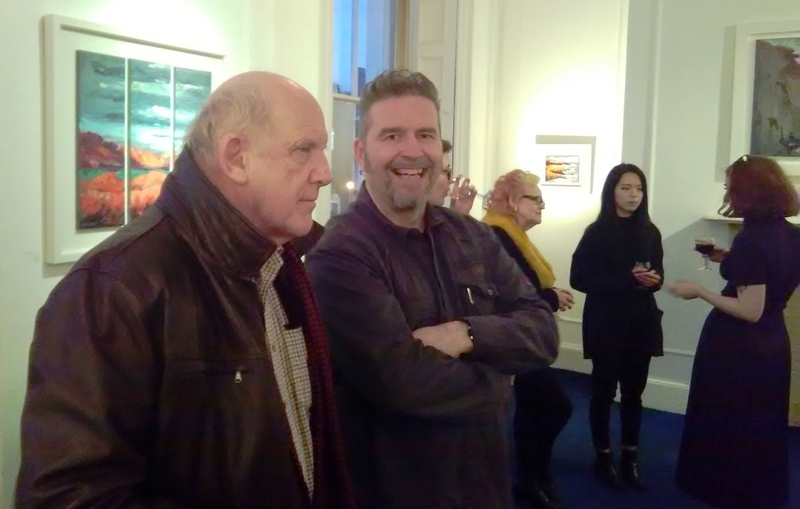 Rod Coyne enjoying a laugh the exhibition launch at the Origin Gallery, Dublin. Rod Coyne was privileged to spend two weeks painting at heart of that Wild Atlantic Way. 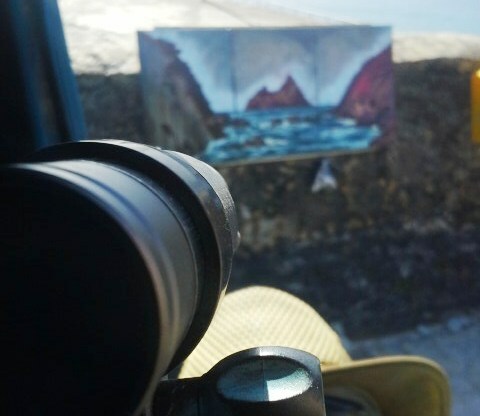 Here’s a two minute studio tour of his Cill Rialaig paintings at that point in time. 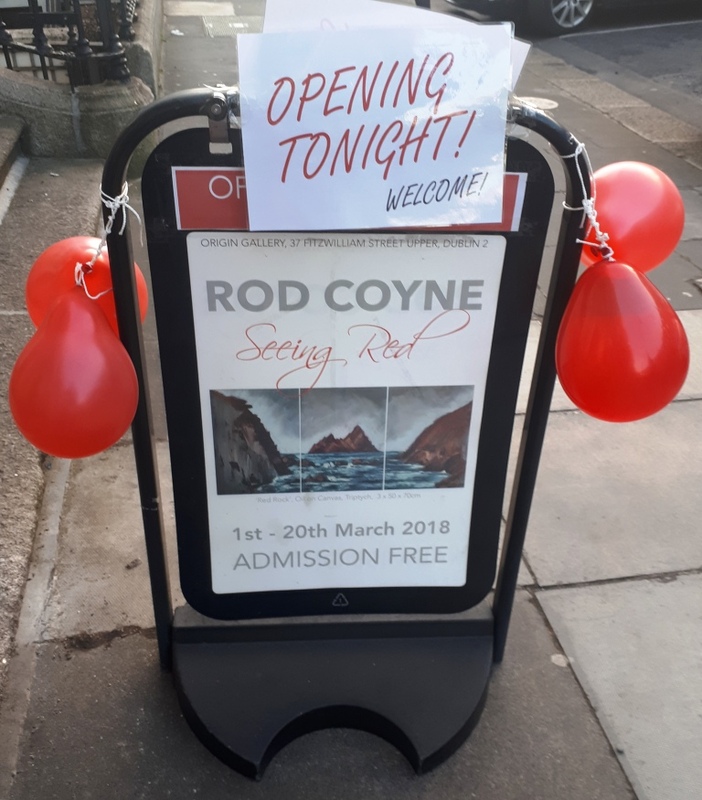 The exhibition by Rod Coyne will be open to the public at Origin Gallery Dublin from 2nd – 20th March 2018. Blizzard conditions in Ireland caused the postponement of the official opening night. After you’ve seen enough white then you might like to start “SEEING RED”. In the meantime please keep warm and safe in these polar conditions. Painting Demo Video – How the West was Won! Rod Coyne painted this picture, ” Skelligs Arch ” at Dr. Noelle Campbell-Sharp’s Origin Gallery . The live painting demo was a part of his “Waters Soft & Wild” exhibition in October 2015. This demo was captured with a time lapse camera. Sit back a see just how this little part of the West was Won by a determent artist wielding a palette knife. Painting Demo Video – Star Wars couldn’t resist! To date two Star Wars movies have embraced the Skelligs as a ready-to-go film set. It’s no wonder of course, these two sentinel islands lay on the Europe’s most westerly fringe and drip with otherworldly presence. 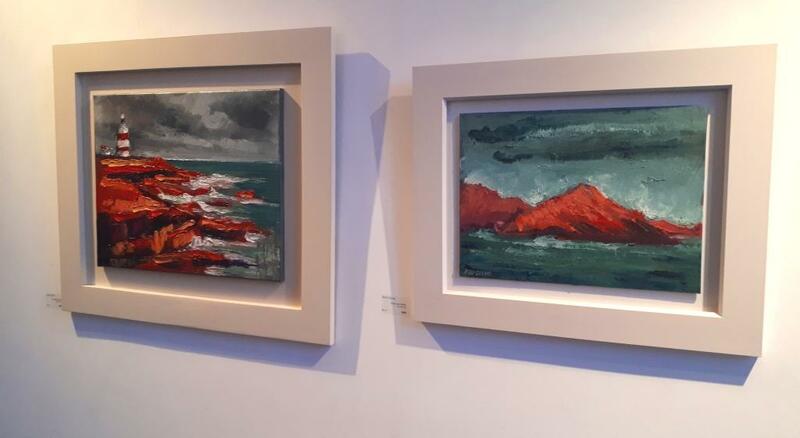 Skellig Michael and Skellig Beag have featured heavily in Rod Coyne’s paintings since the year 2000 and his first residency at the singular Cill Rialaig Artists Retreat. Yet he first painted them on a 1st year field trip with the Crawford College of Art. “Like some many of my generation Luke Skywalker and Darth Vader’s rivalry were an integral backdrop to my childhood and early teenage years. Sure the story existed in another time and a galaxy far away but for an Irish kid the first three movies occupied a realm completely alien to 1970’s Ireland. They also represented a glamorous, sophisticated America which seemed as far off to me as the worlds and planets depicted on the silver screen. Movie still: Luke vs Vader. Fast forward to the present and the long awaited release of The Force Awakens and I could barely contain my excitement and expectation of how my Skelligs were going to be integrated into the story line. Disney were actually paying homage to my central painting motif. I wasn’t disappointed with the islands depiction but I did leave the table hungry. 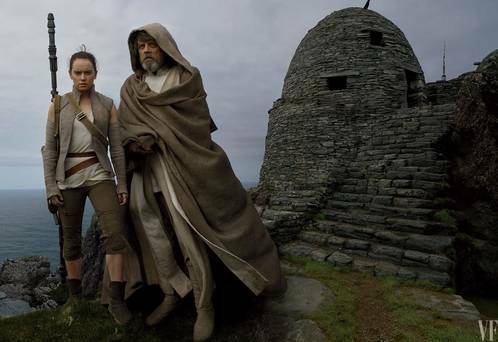 Movie Still: Rae and Luke perched atop of Skellig Michael. But last month I got my fill and just relished every layer of that truly alien landscape as revealed in The Last Jedi. I have to guess that after such prolonged exposure that is one set we will no longer be seeing in future Star Wars Productions. I’m fine with that, they’ve recognized something I discovered for myself decades ago. They’ve paid homage to the great island cathedral which was once the last bastion of Christianity throughout the dark ages.” – Rod Coyne. ” Skelligs Arch ” is available as canvas print on this site. ” Skelligs Arch ” the original canvas available on this site. 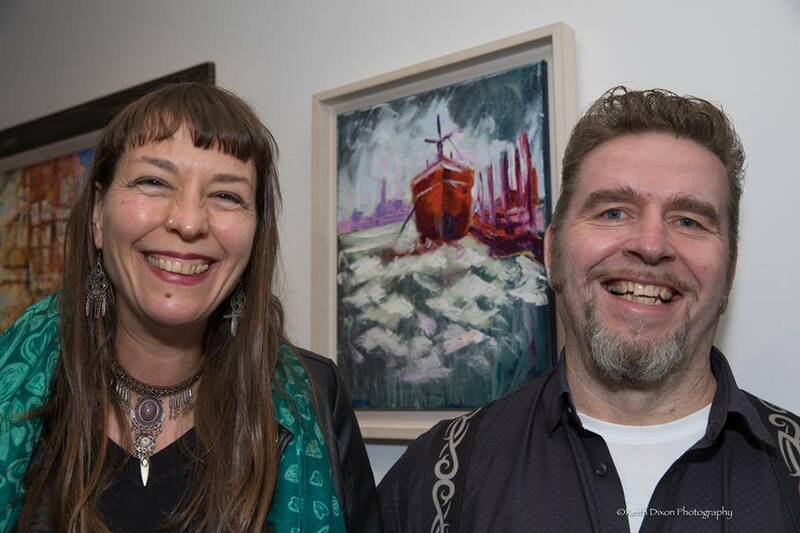 Anja & Rod Coyne smiling in front of Rod’s “Red Hull” painting at the official (pardon the pun) launch. 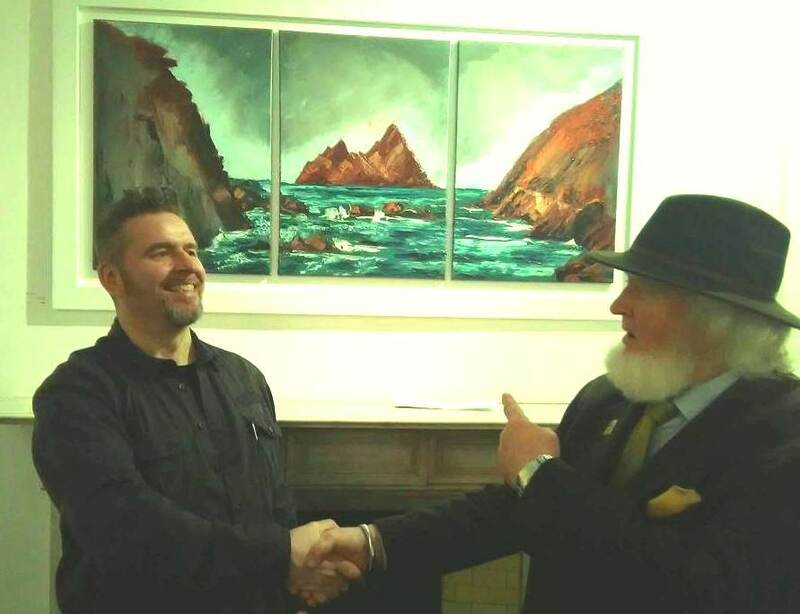 So if you find yourself wandering the Dun Laoghaire seafront Xmas Market then be sure to make your way down to the former Ferry Terminal and see this exciting exhibition featuring painter Rod Coyne and selected artists. 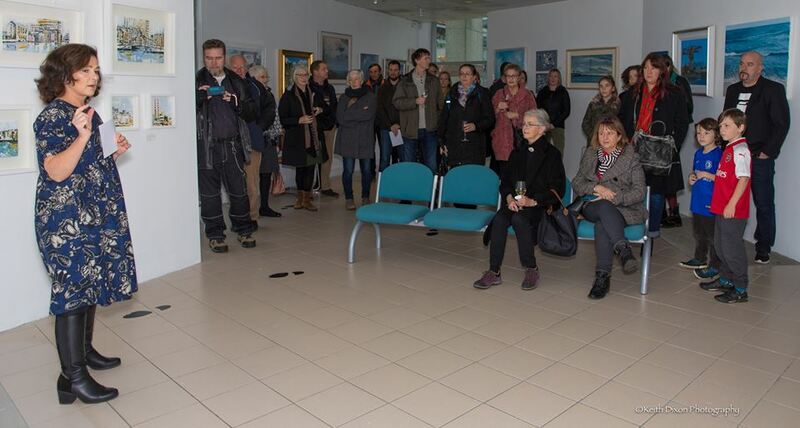 It was a full-house for the launch of Dublin Docklands on Sunday 19th November 2017, and the show is open daily untill 22nd December at the Ferry Terminal on Harbour Road. 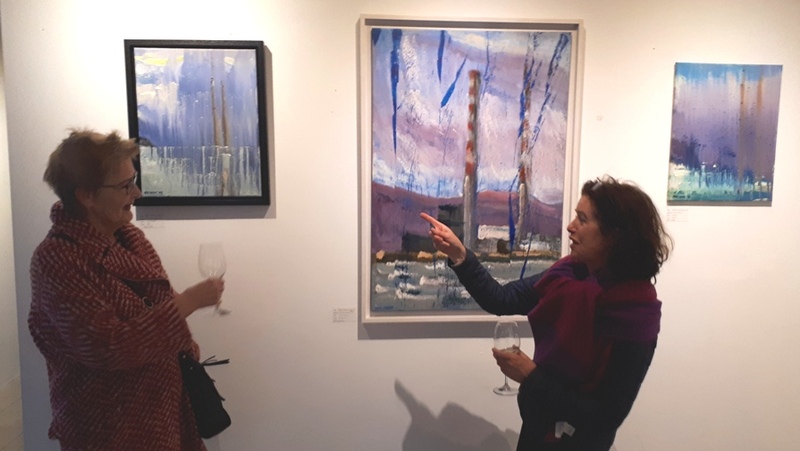 Curator and owner of the Gallery Dalkey Siobhan Bastable launches the show with a glowing endorsement of her artists’ work. Photo by Keith Dixon. Coyne’s “Pigeon House” collection kept visitors rapt with his contemporary take on Dublin Bay’s icon skyline. Two Visitors in animated discussion before three canvases from this singular collection. Rod Coyne is premiering four new works (re-inventing his #RodSeesRed phase) plus several favorites from his Atmospherics series. 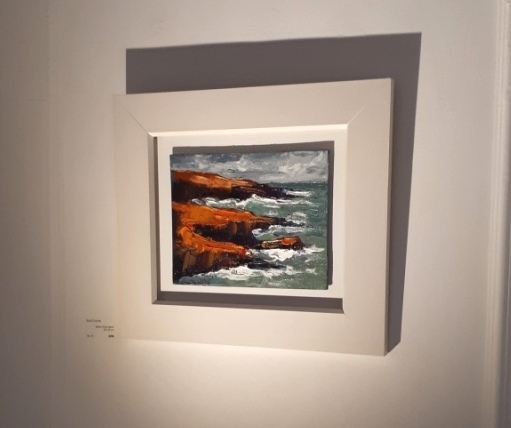 Also exhibiting are artists Peter Pearson, Yvonne Moore, Leonard Sexton and Tatyana Tsaryk, Rose Stapleton, John Brobbel, John Short, Sonya Kinch, Keith Dixon, Jane Willoughby, Brigitte McGovern, Jacqueline Holohan, Erika McColl and Dan Henson. This free event is family friendly and we hope to see you there. You’ll be treated to ceramics with a twist, gritty photography and paintings in all styles, shapes and sizes. 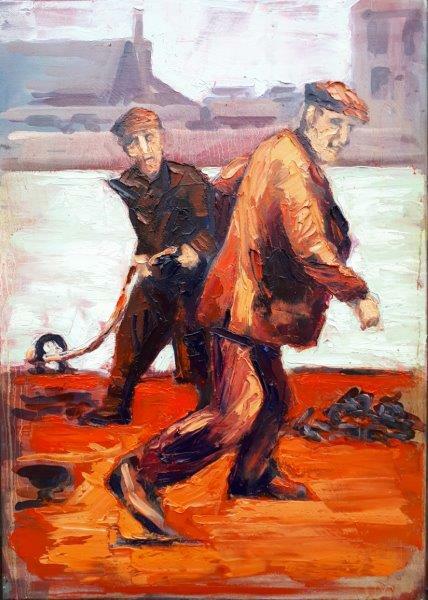 In “Hot Dockers” Rod Coyne interprets a vintage image depicting men at work through a palette of fiery reds, oranges and pinks. ROD-CAST: Jaw-dropping iconic Dublin Skyline. As you know Mr. Coyne is a keen vlogger, so sit back and enjoy this whistle stop tour of the “Dublin Docklands” exhibition launch featuring jaw-dropping views of the iconic Dublin Skyline. 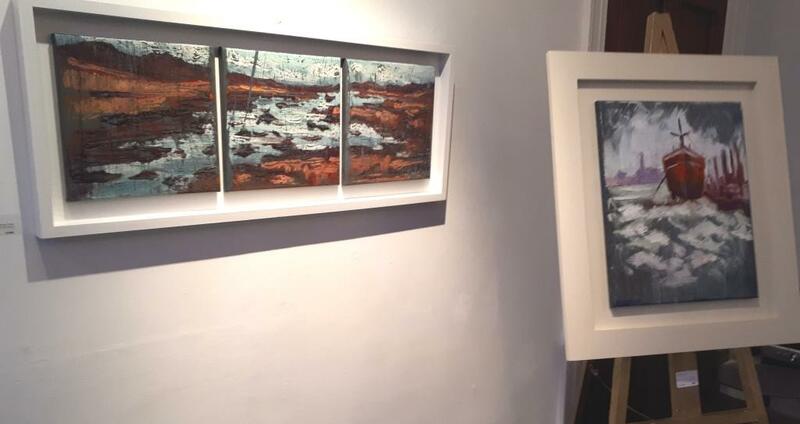 This two-minute video gives you a great insight to what the Gallery Dalkey have achieved in this singular pop-up exhibition space on the Dun Laoghaire seafront. “I went to wire finishing “Masts at Customhouse” before the show. This painting was going to be my centre piece and it lived up to all my expectations. But despite using plenty of fast drying alkyd paint the picture was just as wet on Sunday as it had been when I finished it the Wednesday before. Five minutes before the show I realised that Murphy’s Law had struck in the form of a big magenta smear across the cold grey sky. Armed with baby-wipes I set to work trying to remove the offending streak. I couldn’t help picturing William Turner in the recent bio-pic smudging and gobbing on his canvas as the Royal Academicians looked on in horror. The repair job was mostly successful and there was no fatal damage done to my masterpiece. Its fair to say that my bold, lose painting style tolerates that type of abuse better than any photo-realism could” – Rod Coyne. A frantic repair job by Rod Coyne to save his painting “Masts at Customhouse” at the eleventh hour. “Recently we tried some really cool painting exercises in the Avoca Painting School with a 3 minute colour sketch in acrylic paint. I’ll really recommend this exercise for anyone wanting to loosen up the brush stokes, you’ll be amazed how much you can depict in such a short time”, says Rod Coyne.